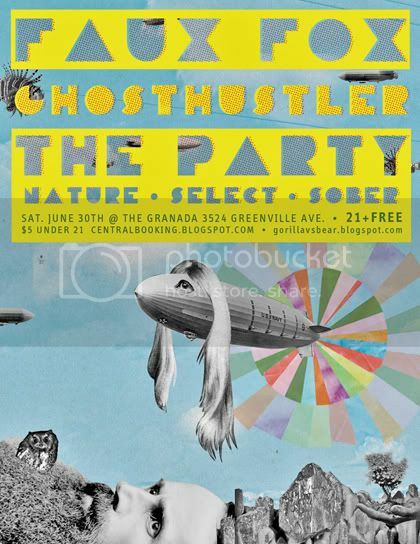 This is going to be a great time…after all of the art openings we should all go to The Granada. If you are unfamiliar with any of the bands, you can check them out at the links below. My recent series of drawings I call “Box Fan”. The term speaks of a perception of self and my personal struggle to see myself as human. I am African American and I have been affected and even infected with what America has told me about myself; and what I say and think about myself. I look into the mirror, the TV, the radio, but mostly the mirror; and sometimes I see the animal-the view through the American lens. My art speaks of the American dream. Not the house and 2.5 kids but the dream of those who don’t wake up to find who they really are – who they were meant to be. The cool breeze from the box fan blows across their sleeping eyes; where the black faced characters live and yearn. The numbing hum of the fan’s motor lets the sleeping, sleepers lie – where the beasts dwell. Art making is a process, as is liberation. Lawrence Lee is represented by the Barry Whistler Gallery. The McKinney Avenue Contemporary is located at 3120 McKinney Avenue in Dallas, TX. I have been meaning to try the recently opened Urban Taco and today I finally got around to it. Since no one I knew had been there I had no expectations going into it. I was really impressed with this place from top to bottom. The atmosphere is relaxing and really carries their concept of the “Modern Mexican taqueria.” This extends so much further into their food. It has a clean and very refined taste. The chef at Urban Taco does not rely on the staples of the heavy handed Tex-Mex tradition of sour cream and cheddar cheese, but is daring in his use of hand ground spices and bringing the unexpected to a taqueria, like their peanut habenero salsa and yucca fries. However this isn’t surprising as Chef Fernando Huerta is a former sous chef to the lauded Stephen Pyles. The fine dining influence also carries over to the portions in that you shouldn’t expect a plato gordo when you order. I had their chicken al carbon taco and the garlic mojo red snapper, both topped with manchego cheese and a trio of salsas with some of the best tortilla chips I have ever had. I left perfectly satisfied, however the menu price will be a bit high for some, especially if you go in expecting typical taqueria prices and portions. This place is definitely going to be a destination in the coming months, best taco I have had in Dallas, bar none. Away From Her is the latest offering from Canadian director/actress Sarah Polley. I saw this movie in the wake of reading an article on alzheimers in Newsweek, which was accompanied by some incredible photos by Dallas based photographer Misty Keasler. Both the article and the film do an amazing job of capturing the emotional experience that alzheimer’s patients and their caregivers go through. The film opens with Fiona (Julie Christie) and Grant (Gordon Pinsent) who could be any couple enjoying their twilight years, but that notion is quickly replaced when Fiona casually puts away a frying pan in the freezer while they do the afterdinner dishes together. After a few more incidents, Fiona decides it would be best if she were to go into a retirement home. The rest of the film, in a painfully beautiful way, deals with the complex emotions both Fiona and Grant have as her memory of their 45 year marriage slowly fades before his eyes. Olympia Dukakis (Marian) turns in a stellar supporting performance as a woman Grant turns to who is also dealing with the slow erasure of her husband Aubrey (Michael Murphy), whom Fiona forms an attachment to. As her state progresses she focuses her affection on this stranger rather than her husband, most of which he is there to witness. This is by far one of the best fims that I have seen all year, and I highly recommend it. I left the theater with a more profound understanding of what grace and dignity are. The Feeling is mutual marks the return of Bask and Tes One to the Dallas Area. Their first exhibition, “Three’s a Crowd” which also featured artist Tom Thewes, was held at Art Prostitute in Denton, Texas in late 2004. Each artist will produce a limited edition print for the occasion. The work that I create is the line of demarcation between traditional art techniques and digital graphic design. From graffiti art and illustration, to vector graphics and raster images, the fusion of these contrasting elements are a direct representation of my surroundings and how I see them. From crayons to krylon, Leon “Tes One” Bedore has been creating art on walls for the majority of his life. Tes became a serious street artist in 1992, painting murals and graffiti art throughout the Tampa Bay, Florida area. In 1999, he began developing compelling graphic design and web pages for a number of clients. Today, Tes One combines his street-art roots with his digital design experience to create works that reflect his unique worldview. Tes is quickly gaining international recognition as a contemporary artist seamlessly bridging the gap between graphic design and fine art. He has developed his own signature by producing an urban street style with the deliberate and thoughtful technique of a fine draftsman. Tes works with themes such as the contrast between technology and nature, color versus contrast, and grime versus grace. The end result is a compelling mixture of emotion and composition, which reflects on the viewer like an intimate conversation. When experienced, it becomes obvious why such emotionally compelling work is moving from the street and onto the walls of museums and galleries. Tes One has enjoyed acclaim in places such as London, Miami, Detroit, Cleveland and San Francisco, and his work has been featured in a number of international publications, while his work often finds home in private collections worldwide. Bask is the moniker of one, Ales Bask Hostomsky, who along with his parents emigrated from Czechoslovakia to Florida and began to soak up America’s popular iconic imagery along with the sun. He quickly began to notice similarities between the communistic iconic propaganda from his youth and the consumer advertising of his teens. Bask soon discovered that they were simply, two sides of the same coin. Each vying for our short-lived attention spans, all the while selling us (or telling us?) anything and everything from Marxism toMcDonalds. Seeking conspiracies-and finding them embedded in the popular iconography of the mass media, Bask began painting bold, media critical broadsides to assuage his fear of being manipulated. A fear cultivated in a repressive regime, had now returned, but to the most unlikely and safest of places- The American living room. Bask’s imagery has appeared in countless publications in both advertising and editorial capacities. His work has been shown in the Florida International Museum as well as the Jacksonville Museum of Modern Art which also has his work in it’s permanent collection. Bask has also exhibited his work in solo shows in Baltimore, Detroit, Miami and Tampa among others. Introductions North will open this Thursday June 14, at the GDAC’s Meadows Gallery. Below is all of the info posted on their site. This kind of looks like CADD’s art fair round 2, but you will find some new faces like Mulcahy Modern, Mighty Fine Arts, 500X and Photographs Do Not Bend. If you are an artist who is trying to pursue a fine art career I would not miss the roundtable discussion which starts at 7pm. Nancy Whitenack has been dealing art since I was 5, and Burt Finger has been at since I was in the 9th grade. Both of them have well respected programs with a proven history. Marty Walker brings a lot to the table since she is a new gallerist, but has had a lot of experience dealing artwork dating back to her days as the Associate Director at Conduit. Walker is also an artist herself, so her insight comes from both sides of the fence. Whether you make the opening or not, go and see these drawings…it will be a long time before this ball hits the ground, M crushed it. Road Agent announces the opening for Fort Worth-based artist M on Saturday, June 2, from 6-9 p.m. In this body of drawings and installation, vigorous and writhing mythological characters spring fully formed from modern-day domestic detritus, the opposing forces of the extraordinary and the common sharing white expanses of paper in exacting detail. M’s delicate line work describing organic transformations and accumulated treasures and trash recall the fantasies of collected memory and the storing of our past. M debuted at Road Agent last summer, kicking off the gallery’s popular Ambush series, and was featured in its Various Small Fires exhibition last December. M was a member of Denton’s notorious Good/Bad Art Collective and is currently in the critically acclaimed art-electronica band Mission Giant.